The Supper Inn is an old family favourite, mum and dad used to take us there after a night's entertainment in the city. We'd wait patiently with other hungries on the stairwell or maybe squeeze onto a table in the smaller room downstairs. Old school, village style Cantonese cooking at its most fresh and unassuming. 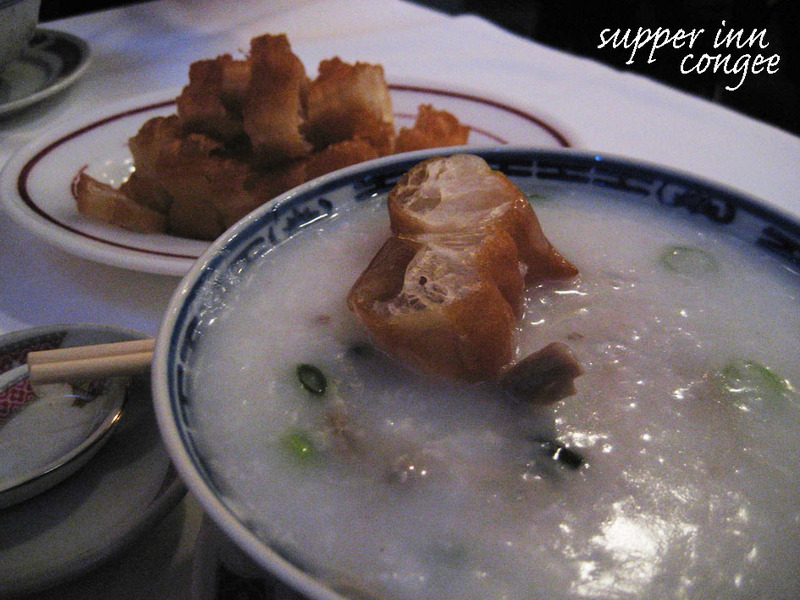 And although the punters may have slowly evolved over the years, you can't beat it for the classic midnight snack of congee topped with a chinese donut.